Mstar Semiconductor are a relatively-new player in the ARM eLinux/Android world, probably best known today for SoC’s that power budget-orientated smart TV’s from Kogan and ALDI and the like. Over the last few years they’ve had significant growth, especially since the launch of the impressive MSO9180 chipset which powers devices such as the Xtreamer Prodigy 4k. Up until now there has been no way for the general public to unpack (disassemble) and repack their firmware bundles (i.e. MstarUpgrade.bin) – hackers rejoice, now you can! ModShell is a console enhancement for the Windows command-prompt designed to make Forge mods easier to create, manage and deploy. 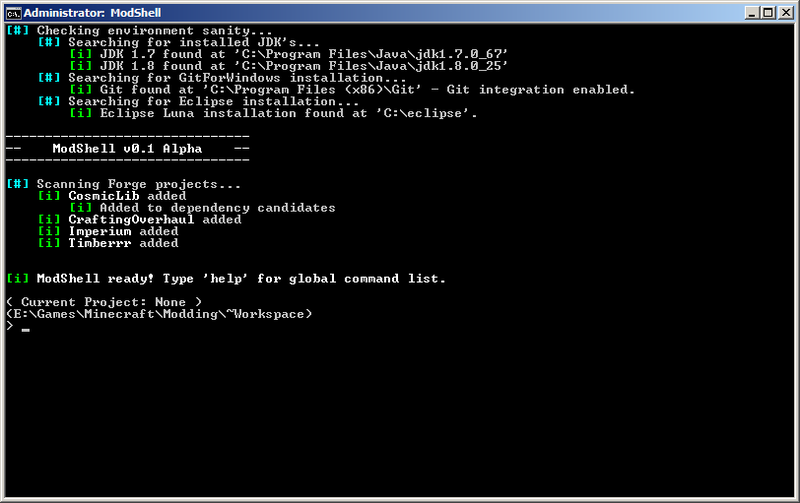 UPDATE: Due to complications in the way Eclipse projects are organized (e.g. absolute paths all other the place), this project was abandoned. Original post remains for posterity.